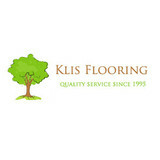 Klis Flooring was founded by Jack Klis in 1995. Jack has over 15 years of hardwood flooring experience. We specialize in floor installation, sanding and refinishing. We can also do custom floor patterns. Our mission is 100% customer satisfaction. We take pride in our work and won't leave the jobsite until you are completely happy with your floors. Our work can be seen all over Chicago and the surrounding Chicagoland area in houses and condos as well as schools, shopping centers and churches. We offer professional service at a low price and serve the entire Chicagoland area. 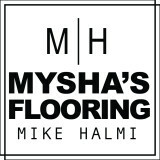 Mysha's Flooring has been offering the best services in Chicagoland and surrounding suburbs since 2000. We specialize in all types of Hardwood Floors and pride ourselves in being very detail oriented and highly skilled in the arts of hardwood flooring. During your projects you won't deal with a crew sent out to you, but directly with me ( Mike ). I will be there all the time from start to finish and I will answer to all of your questions before, during and after the process. We are never late, not for appointments and not with our projects. All of our projects are done in the time frame promised, maybe a little bit sooner, but never late! We always answer the phone and always show up. We do one project at a time , we never have more projects in the same time, and run from one to another, when we start one, we stay there until it's done and the customer is happy. We take our craftsmanship seriously. We want to create the standard for engineered hardwood flooring, using the highest quality in raw materials. By offering products directly – avoiding retailers and storefronts whose individual commissions only inflate pricing – we founded a sales model that spared all parties the trouble of middlemen, while passing along the balance savings to the customer. 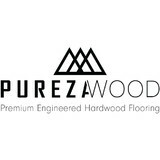 PurezaWood can offer luxury hardwood so competitively priced because it comes straight from the source. And because we monitor every step of manufacture, we can offer customization fitted just for your vision. DeSitter Flooring is an award winning , one-stop-shop flooring company for both residential and commercial clientele since 1920. We serve the entire Chicago metropolitan area and suburbs providing the widest selection of designer flooring and expert installation for carpet, hardwood, luxury vinyl plank or tile, laminate, area rugs and hardwood refinishing and more! DeSitter also offers custom design services for area rugs, stair runners and hardwood refinishing. We offer free estimates and professional consultations to help design and manage your next flooring project to fit your lifestyle, decor and budget. You'll love our two beautiful, recently remodeled showrooms, conveniently located in LaGrange and Glen Ellyn, Illinois. Our corporate headquarters, workroom and commercial showroom is located in Bolingbrook, Illinois. 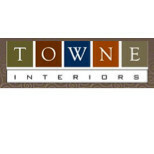 We work direct with homeowners and businesses along with interior designers, home builders, remodelers and commercial contractors. DeSitter’s success could be measured by the impressive number of customers and communities we serve, or by the more than 150 million square feet of floor covering we’ve installed for both residential and commercial customers; but the greatest measure of our success is the number of years our customers have been turning – and returning – to us to fulfill all their floor covering needs. Every DeSitter customer benefits from our professionally trained team, our wide selection of top brand products, and our expert installation by the finest craftsmen in the business. DeSitter has proven that it is our people who really make a difference; their proven experience makes us the leader in the flooring industry. We have two Flooring Showrooms: Flooring Showroom: 444 Roosevelt Rd, Glen Ellyn, IL 60137 Flooring Showroom: 1 N. Kensington, LaGrange IL 60525 Please note: DeSitter provides quality products and professional installation. While we will do MATERIAL ONLY jobs, we are NOT a Labor Only company. For more than 35 years, Great Western Flooring has been a celebrated fixture and brand name in Chicago’s western suburbs. Steve Chirico, owner of GWF and lifelong Naperville resident, saw an opportunity in 1981 to create the ultimate design center. By focusing on attention to detail, quality, design, community and people, GWF has been able to expand its product and service offerings. Years later with Steve's daughters, Lauren and Dana now running the business, they are still devoted to the A.R.T. of Flooring: Accountability, Reliability and Trust. Today, GWF has three prominent design centers in the western suburbs – Naperville, Oswego and St. Charles. They continue to introduce new, forward-thinking collections, such as: AKDO, Encore Ceramics, Sonoma Tilemakers, Preverco, Mohawk, Shaw and Cambria. Whether you’re a builder, private homeowner or remodeler, GWF prides itself on bringing the necessary design expertise to each project - producing chic, thoughtful and creative designs along the way. Stop in, enjoy a cup of coffee and let the designers of GWF inspire those dreams to reality. Edward & George Flooring Corp is a family owned and operated business specializing in unfinished and pre-finished hardwood flooring installations and refinishing. In the floor covering industry since 1989! We offer our customers an unsurpassed level of expertise and professionalism. Our goal is customer satisfaction through superior workmanship. If you are looking for first rate service at competitive prices, please give us a call. You have to a passion for the work that you do in order to become great at it and i found my passion working with wood. I enjoy projects that involve intricate designs, installations of medallions,border,and herringbone wood flooring, Refinishing a floor that has seen better days leaves me with a sense of accomplishment, especially when i see the look of amazement that my clients has. I have over 16 years of experience working with refinishing, and installation of hardwood, and installing laminate and engineered flooring, I work well with clients and their Condo Association in complying with their rules and regulations. I consider the client's project very important as it will be a reflection of my work and future referrals. I use high-quality products in refinishing and installation of flooring. From start to finish we provide exceptional customer service, working to understand your needs. Our goal is to find the right product to fit your lifestyle. We offer the latest quality styles at affordable prices. Let us help you with your next project. We recognize that your flooring is a major investment and take great pride in creating a quality product that will bring long-term value to your home. Whether you own a new home that needs new flooring installation, or just looking to improve your existing one ADR Flooring can handle all aspects of your project. Lowell Carpet and Coverings is a family-owned and operated business, serving you since 1996. Back then we saw a service to the Lowell area that we felt was needed for our community. We would describe our business as Stable, Helpful, Established, Unified, and Community Involved. Your satisfaction is our satisfaction! 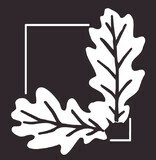 We educate our customers on the best products for their homes and needs. We also offer installation. We are a Color Center for Mohawk and Premier Dealer for Hunter Douglas Blinds! Our Shaw products include: Anso, Clearly Chic, ClearTouch, EverTouch, R2X Stain Remover, St. Jude Carpet Cushion, and Tuftex. Establish in 2003 - this is a family business - we do the work : father , son and cousin. Establish in 2003 . Quality comes standard ! When you want quality Chicago hardwood flooring that will last for decades, Mike’s Hardwood Flooring is the simple, one-stop solution you need to bring out the natural beauty of your home. A family-owned and operated store located in Skokie, IL, we’ve been proudly serving the Chicago area since 1994, and are proud to offer top-quality, long-lasting solutions for a full range of flooring needs. Whether you’re looking to upgrade the look, feel, and function of your home, want to add a dash of class to a small business, or are planning a new construction that needs to reflect you and your family in every single detail, we can help design a solution for you that’s practical, affordable, and aesthetically pleasing. Classic yet contemporary, hardwood floors are one of the most beautiful types of flooring a home can have. However, if not installed correctly or damaged, a floor can threaten a home’s entire interior aesthetic. That’s where Saint John, IN hardwood flooring installers and dealers step in. Whether you need a hardwood floor installation or replacement, or just want some guidance on the types of hardwood flooring available, these Saint John flooring pros can help. What kinds of services do hardwood flooring installation professionals in Saint John, IN provide? Find hardwood floor experts in Saint John, IN on Houzz. Search the Professionals section for Saint John, IN hardwood flooring installers and dealers or browse Saint John, IN photos of completed installations and look for the professional’s contact information.